Is Your Hospital Catholic? Many Women Don’t Know. Patients seeking care in Catholic facilities have been turned away while bleeding and made to wait until they sicken to receive miscarriage treatment. Among women who listed a Catholic hospital as their primary destination for reproductive care, only 63 percent knew that the hospital was Catholic. About one in six women in the United States name a Catholic facility as their go-to hospital for reproductive health care. 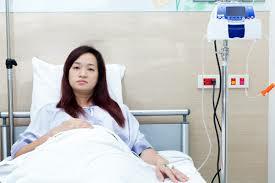 But more than a third of these women are unaware that their hospital is Catholic, according to a survey revealing an “information gap” about Catholic hospitals, where religious rules dictate access to contraception, sterilization, and abortion services. Patients seeking care in Catholic facilities have been turned away while bleeding and made to wait until they sicken to receive miscarriage treatment. Cesarean section patients in Catholic hospitals often can’t have their tubes tied at the same time they give birth, requiring a second surgery elsewhere. Transgender patients have had gender-affirming surgeries canceled on religious grounds. Among women who listed a Catholic hospital as their primary facility for reproductive care, only 63 percent knew that the hospital was Catholic, researchers found. The study, published in the journal Contraception, did not address whether respondents knew how Catholic hospitals restrict care. Women with annual incomes under $25,000 are less likely to realize their hospital is Catholic than women who make more than $100,000 a year, the researchers found, underscoring how these barriers disproportionately affect marginalized patients. A January report found women of color are more likely to give birth in Catholic hospitals and thus bear the brunt of these religious restrictions. If a hospital has a “very religious” name, such as St. Joseph, patients are nearly three times more likely to identify it as Catholic than if it has a non-religious name. Older patients and those who live in metropolitan areas are more likely to correctly identify their hospital as Catholic, the study found. The researchers called on hospitals to better advertise their Catholic affiliations. “Efforts are needed to increase hospital transparency and patient awareness of the implications that arise when health care is restricted by religion,” they wrote. This appears particularly urgent because women overwhelmingly want to be informed about religious restrictions: Eighty-one percent say it’s important to know these barriers when they decide where to go for care. those women probably have found out they need to be more politically aware.